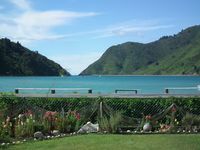 Properties in Duncan Bay average 4.4 out of 5 stars. Property 1: Spacious, family friendly house with spa perfect for relaxing or adventuring. Property 2: Private location, Excellent sea view. Fantastic Fishing in this wonderful Spot. Property 12: Fantastic Fishing in this wonderful Spot. Lovely waterfront bach. Couldn't get closer to the sea. Good value for money. No nasty surprises...except a section full of retired camper van people next door and their happy 'hour'or two. But all in all nice place. 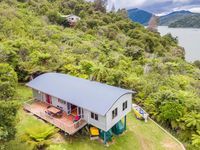 Had a brilliant 4 days away in Pelorus, staying at this beautiful getaway. Had everything we needed, easy access and in a nice sheltered bay. Thanks very much for letting us stay. Will come again some day I hope.